FairLifts helps set up a variety of helicopter services throughout the state of Pennsylvania. Pennsylvania transmission line construction services include stringing lines, utility pole installations, site inspections, heavy lifting, and logistical transportation. FairLifts partners with pilots all over Pennsylvania to bring you the advantage of reliable helicopter services. 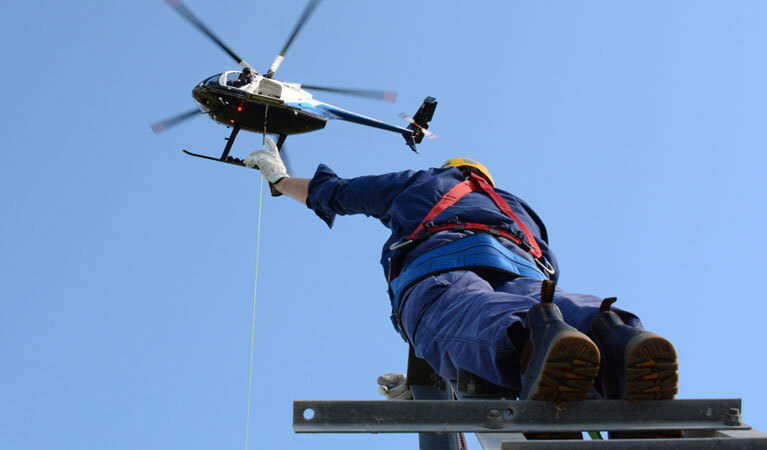 All of the helicopter services are customizable because FairLifts only arranges the best, highest quality helicopter services for your Pennsylvania transmission line construction. Team members are standing by ready to assist you. With Pennsylvania’s rolling hills throughout much of the state, transmission line construction projects face difficulty because of the terrain. In addition, the vast mountains of the state, the plateaus, and ridges do not help matters either. Over half of the state is forested as well. A helicopter can help overcome this difficult terrain by assisting in a variety of tasks that are difficult for a ground crew. This helps cut manpower and the time it takes to complete transmission line construction. FairLifts agents can easily reserve Pennsylvania transmission line construction services as a result of an extensive network of experienced and professional operators. Booking through FairLifts delivers personal access to the agent's expertise in sourcing an ideal operator, aircraft, and hardware to get the project done according to your specifications. Read on to learn more. The amazing thing about a helicopter is the machine’s ability to perform heavy lifting. A helicopter can lift many things. One of the heavy lifting tasks a helicopter can perform for a Pennsylvania transmission line construction project includes tower construction—this alleviates the burden from a ground crew. An experienced helicopter pilot can bring skills to the table when stringing wire. Because of a helicopter’s hovering capabilities, it can fly close to the poles and help string wire with a device called a needle. This method can decrease the amount of time the transmission line project takes. A helicopter can lift a tremendous amount of weight. 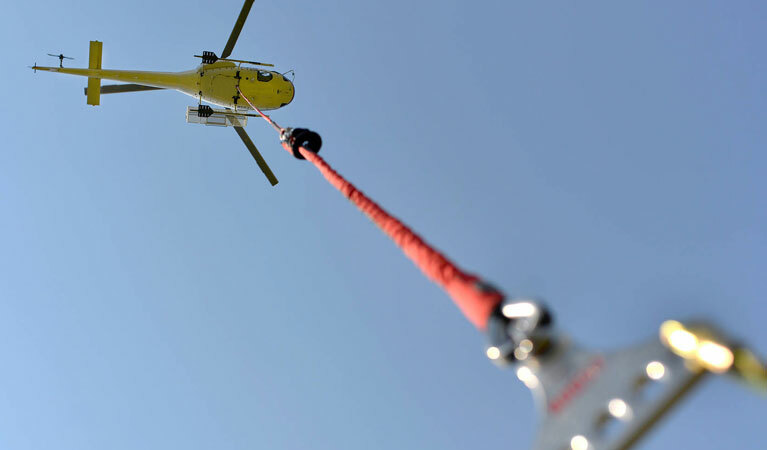 When installing a utility pole, a helicopter can help take some of the heavy lifting away. This may help take the burden off of a ground crew and decrease the manpower that is needed. A helicopter can lift a utility pole with precision. Before the age of helicopters, ground crews would often take days performing inspections for Pennsylvania transmission line construction. To say the least, it was time consuming. When you use a helicopter, this time is drastically decreased, turning what would take weeks on inspections into a matter of days. A helicopter can cut on transportation time, flying a more direct route. This can come in handy for transporting supplies or crew members—especially to difficult to reach locations. FairLifts proudly arranges these transportation services so you do not need to waste time on other transportation methods in Pennsylvania. Experts are standing by to get you a fast quote for your transmission line job in Pennsylvania! If you need help with Pennsylvania transmission line construction, look no further than FairLifts. We help set up helicopter services throughout the entire state of Pennsylvania. Our team members are standing by around the clock ready to answer your questions and provide you with a quote.